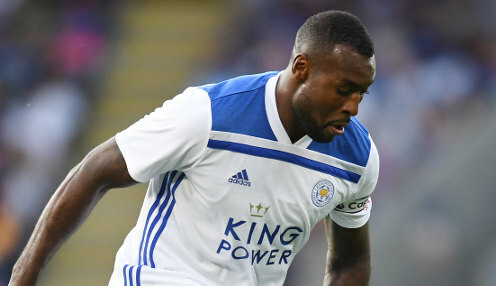 Captain Wes Morgan is is adamant Leicester City can look forward to a "very bright future" after he signed a one-year contract extension. The 35-year-old central defender, who has made 292 outing for the Foxes, was an ever-present in the side's shock Premier League title success in 2015-16 and remains a big part of the squad at The King Power Stadium. I can see a very, very bright future for Leicester City. Morgan has made 19 appearances so far this term and scored the winning goal in Saturday's 2-1 win at Burnley. The former Nottingham Forest stopper was due to fall out of contract this summer, but he has now agreed a 12-month extension to keep him on board until June 2020. And, with Brendan Rodgers recently taking over from Claude Puel in the managerial hotseat, Morgan feels confident that further success is on the horizon. "I can see a very, very bright future for Leicester City," said Morgan on the club's website. "This means a lot to me. We've been through so many ups and downs together as a football club, and I've been right at the heart of it from the very beginning, so to extend my time here means very much to me and I'm very happy." Leicester, who currently sit 10th in the Premier League and are 1/9 to to secure a top half finish, are next in action on 30th March when they host Bournemouth. The Foxes are 4/5 to win, while the Cherries are priced at 7/2 and the draw is 3/1.